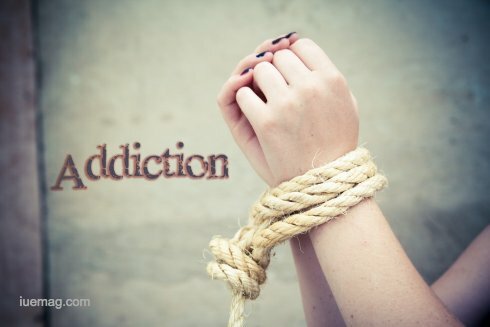 Breaking an addiction is no easy task. In fact, the disease model of addiction says that it is a lifelong battle, long after sobriety is achieved. This is in large part due to the fact that while addiction may be caused by a variety of factors, it is our poor coping mechanisms that land us in the firm grasp of a substance. At first, our faulty coping mechanisms may help us deal with stress, changes, and toxic relationships. A nice glass of wine after work can certainly take the edge off. After time, though, these coping mechanisms no longer serve their function. Instead, they can lead us to unhealthy behaviors that could potentially destroy our lives, as is the case with addiction. First and foremost, be sure to have a crisis plan in place in the event that your cravings become too unbearable. While many recovering addicts commit to recovery with enthusiasm, many also forget this important step. Cravings are a guaranteed part of the process and so it is crucial to be prepared. Whether you need to call a friend or go on a walk, this crisis plan will help you when you are on the verge of reverting back to old habits that are destructive to your life. As a recovering addict, you will encounter certain stressful situations or people that will trigger you. These triggers will initiate your faulty coping mechanisms, which led you into the addiction to begin with. In order to prevent these triggers from pushing you back into substance abuse, be sure to clearly identify your triggers. If possible, do your best to avoid them until you have developed healthy coping mechanisms. This could mean not associating with the same friends you used to when you were using. This could also mean changing your entire daily routine so that you aren’t constantly reminded of the absence of your preferred substance in your daily routine. Whatever the case may be, identify your triggers and plan accordingly. You will not always be able to avoid your triggers but you may be able to anticipate them. When you are steadily focusing on your career and hobbies, you will not have time to think about your old addiction. You will become captivated with the progression you are making on the things in which you are truly passionate about. Many recovering addicts struggle with finding new hobbies or with enjoying their work. While this can make recovery more difficult, it is fairly common. If this is your case, then use this time to find a new hobby that you enjoy. By staying focused on finding ways to spend your time in a healthy manner, you are also successfully staying sober. Finding certain ways to soothe yourself during these difficult times can be very important during your coping process. Calm music, meditation, a relaxing walk on the beach, and watching a sunset are all good examples of ways that you can self-soothe. The important thing is to be able to provide yourself with your own comfort during those especially challenging moments. The recovery process is a brutal one, often times proving to be more difficult than the addiction, itself. While it is not absolutely necessary, it is incredibly helpful to have designated support so that you don’t have to go through withdrawal alone. As such, your support group is going to be a huge help to you during this process. Create a network of support among your friends, family, and support groups in your area. Carefully select people that can understand what you’re going through and are able to provide you with the safety and support that you need. When overcoming addiction, it is important to believe in yourself. Having the belief that you can get through this difficult time will push you through the obstacles that seem impossible to overcome. Keep a journal where you write all of the positive steps you have taken along with your accomplishments during your journey. This way, when things get especially difficult you can easily remind yourself of the ways that you have successfully beat your addiction in the past. It is important to remember that, during recovery, your brain is re-learning how to exist without your chosen substance. During this time, you will reach unexplainable lows that will make you doubt everything about yourself. It is so easy to forget the fact that you are actually an incredibly strong and dedicated person to not only make the decision to become clean but to also set yourself up in away to remain sober. These things are important to remember during recovery. While our brains are complex and fascinating, they are also easily fooled. By exercising regularly and eat food that is abundant in vitamins and minerals, you can convince your brain that you are indeed healthy and happy. Your brain will start to produce neurotransmitters to match the healthy behaviors. Although this may seem like a simple task, it can be incredibly powerful. It is due to the sudden lack of neurotransmitter-mimicking substances that you are struggling through your recovery. By exercising and eating well, you are providing your brain with the neurotransmitters that it so desperately craves. It cannot be stressed enough how important it is to develop a healthy relationship with yourself. Though addiction can send you into the depths of self-hatred, making recovery a difficult and uncertain task, it is more easily resolved with self-care. Take the time to attend therapy, journal, and do some introspective thinking. 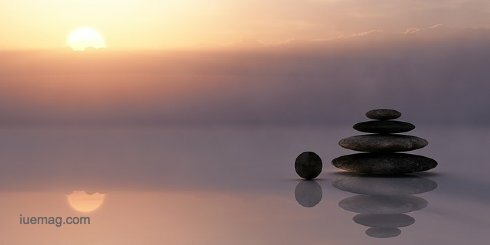 Try mindfulness, meditation, and gentle exercises. The more you act with respect toward your body, the more that you will naturally respect yourself. High self-esteem during recovery will make the entire process a whole lot more manageable. Volunteer work is another great way to get both your brain and your soul back on track. The very act of altruism, the practice of serving others, significantly increases happiness and decreases anxiety. Just like moderate exercise, the brain releases all of those important neurotransmitters in response to volunteer work. As a result, you feel happier and less stressed. Search for volunteer opportunities in your area that sound interesting to you. Whether you are serving food to the homeless, reading books to children, or doing art with the elderly, you will find the entire experience to be very rewarding to everyone involved. When you have captivating goals in your life, you have a reason to get out of bed in the morning. Create a compelling vision of your future that will keep you working hard. Having a solid plan for your future is a great way to stay motivated throughout your recovery. There is no quick fix in recovery and it will likely be difficult no matter what you do. However, there are certain ways to support yourself through it all. With these 10 coping mechanisms you will find your recovery to be more manageable.